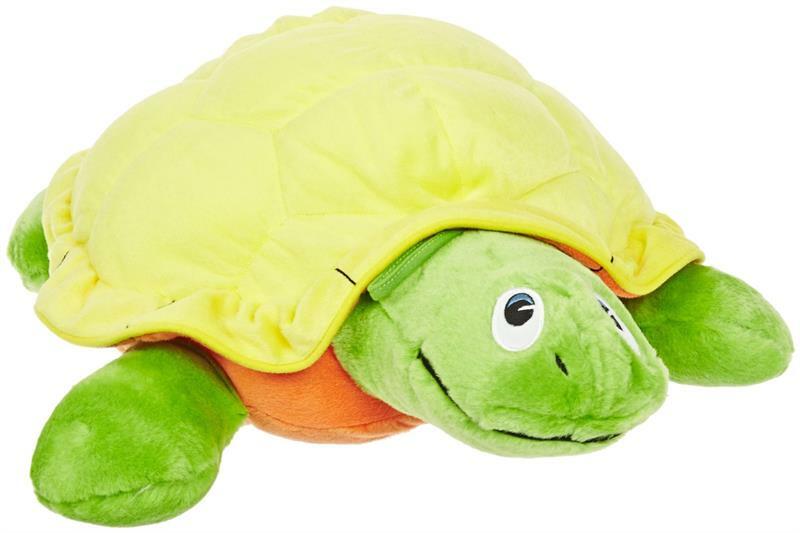 This Giant Vibrating Turtle is a soft, plush reptile with an adorable face and brightly colored plush back. To make it vibrate, simply insert two D cell batteries (not included) and give a hug! The vibrations are calming and soothing to children, especially those on the Autism Spectrum. 19 x 18" (48 x 46cm). Sold as Single Unit. Designed to calm and relax students. Recommended for early learning or special needs therapy. Soft and huggable.